Almost 70 years have passed since Hitler and the Nazis looted and confiscated art from museums and Jewish collectors in German-occupied countries. The war is over but the bizarre and tragic story continues as the heirs of the original owners attempt to reclaim their artwork from world famous museums and private collectors. Adamant and inflexible, these museums and collectors believe they acquired the works legitimately. So we have a dilemma…a moral and legal dilemma. Jewish families and museums were forced to “sell” their masterpieces at rock bottom prices to Nazi officials and Nazi art dealers, many times in exchange for their lives. Often the art was brazenly stolen from the owners. Decades later and passing through many hands, these same masterpieces turn up for sale. Museums or collectors purchase them either naively or purposely ignore their history (provenance). 1939 Nazi art dealers remove “Wally” from Jewish family of Lea Bondi Jaray under duress. 1940 “Wally” sold to Leopold Museum, Vienna, Austria. 2010 After years of litigation, Leopold Museum pays Bondi $19 million to surrender all claims to painting. 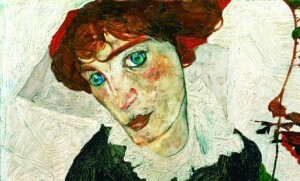 2014 “Wally” hangs legally in Leopold Museum. 1939 Painting “appropriated” by Nazis from The Bloch-Bauer family and placed in museums in Austria. 1997-2010 Court battle between state of Austria and heirs of Bloch-Bauer. Bloch-Bauer family determined rightful owners and “Adele” returned to family. 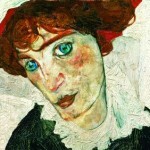 2012 Portrait of Adele Bloch-Bauer sold by heirs to Ronald Lauder for $135 million. 2014 Painting hanging in Lauder’s Neue Gallery, New York. 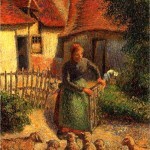 1940 Painting seized by Nazis from Meyer family in Paris. 1933-1956 Painting sold and resold to different collectors. 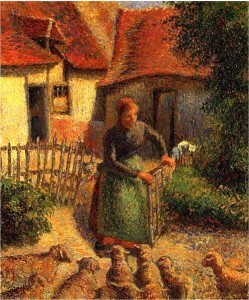 1956 “Shepherdess” bought by oilman Aaron Weitzenhoffer and wife, Clara. 2000 Bequeathed to Fred Jones Jr. Museum of Art, University of Oklahoma, at death of Clara. 2014 Litigation expected to continue for years. 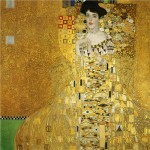 Watch this astonishing video of Nazi art plundering! Click here if unable to view the video. Very disturbing! One of the most disturbing facts, beyond the scope of the Nazi thefts, is the price paid for the Klimt — $135 MILLION! The entire story of the allied effort to preserve and recover items is told in the book “The Venus Fixers,” and a Hollywood film is due out momentarily, starring George Clooney, called “Monument Men,” I believe. Looking forward to seeing it. Thank you for this message. As a Jew and art lover it breaks my heart. Thank God the paintings were not destroyed. The works belong to all of us. Loved this history lesson auntie! Disturbing indeed. The spoils of war. What else was stolen I wonder? Surely when conflict is imminent, citizens and art collectors frantically attempt to hide their most precious art treasures or transport them to safety. But, maybe there is another story yet untold. Wonderful array of images and imagination and commentary. Kirby, I enjoyed seeing KA-POW at Bread & Cie.
Poignant, provocative, “puissant”– the video epitomizes all three of these. It also asks the probing question,” What is more valuable, a work of art, or a human life?” Well? Your answer to that question may reveal more of yourself than you are willing to share. Thank you, once again, Kirby, for forcing us to look at ourselves boldly, coldly, care-fully. The plunder of war. Sad, relentless, historical and current. Very topical, Kirby. We are aware, at times, of the consequences of war. The Nazi period of atrocity had no limits. Art suffered, humanity suffered, creativity suffered. Recourse, salvation, restitution will be long, if ever, in coming. Kirby, your blog has aroused all my senses and emotion. Rarely, does my mind and heart tap in unison. Thank you. I saw this movie. It was much better than the one with Clooney. Ina said she’s glad they didn’t destroy the paintings, but many were. Why is it that so many times when at war we humans want to destroy mankind’s treasures – art, books, intellectuals & scientists? Will we never learn?